Known today for its bloody conflicts and instability, Somalia’s little known history can be found in the colorful cave paintings of animals and humans discovered in 2002 by a French archaeology team. 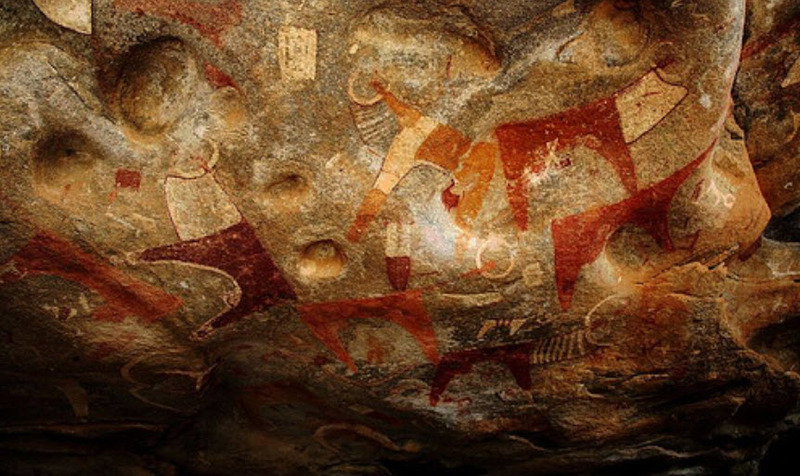 Laas Gaal, Somalia (also known as Laas Geel), just outside of Haregeisa, the capital of Somalia’s self-declared Somaliland state, contains 10 caves that show vivid depictions of a pastoralist history which dates back to some 5,000 years or more, reports AFP. A French archaeology team was sent in 2002 to survey Somalia in search of rock shelters and caves that might contain stratified archaeological infills that could document the period when production economy appeared in this part of the Horn of Africa, according to Wikipedia. During the survey, the Laas Geel cave paintings were discovered. The paintings were in excellent condition, depicting ancient humans who lived in the area raising their hands and worshipping humpless cows with large lyre-shaped horns.